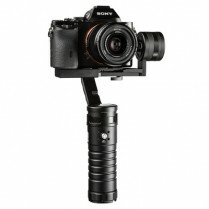 The Beholder EC1 is designed specifically for professional filmmakers looking for a single handheld stabilizer for a large range of medium and small cameras weighing up to 5lbs. The Beholder EC1 is lightweight, easy to use, and can be carried in the supplied case or a small photographer bag. 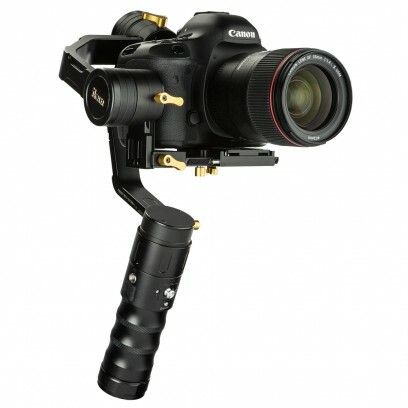 The 3-Axis gimbal features three 360 degree rotating brushless motors that give you a limitless range of motion. With a payload of up to 5 lbs., the EC1 has the ability to stabilize a wide range of today's popular DSLR and mirrorless cameras. Sony a6300, Sony a7SII, Panasonic GH4, and the Canon 5D Mark III are just a few cameras that the EC1 can handle. Using a 32-blt controller with a 12-bit encoder, the EC1 uses an adaptive PID algorithm to produce a reliably efficient handheld stabilizer. The EC1 features 3 different follow modes. In Yaw-Axis Follow Mode, the EC1 will only follow your Pan movements. In Pitch and Yaw-Axis Follow Mode, the EC1 will follow your Pan and Tilt Movements. Finally, the 3-Axis Follow Mode gives you full control allowing you to Pan, Tilt, and Roll. With a newly designed quick-release baseplate system, the EC1 is easy to balance without the need of any tools. The EC1 handle comes with two 1/4-20 mounts that are perfect for mounting accessories such as a light, microphone, or monitor. 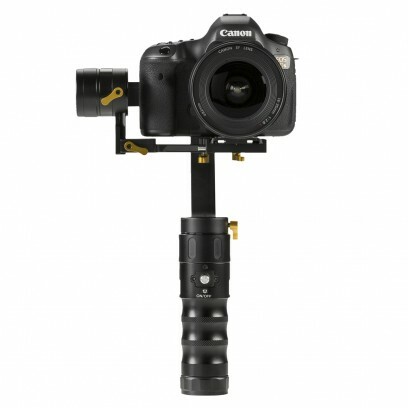 A 3/8-16 thread located on the bottom allows you to secur9ly mount the EC1 to a tripod, jib, or dual handle support system such as the lkan DGH. Shipping Dimensions: 15.75 x 8.5 x 3.75 in. 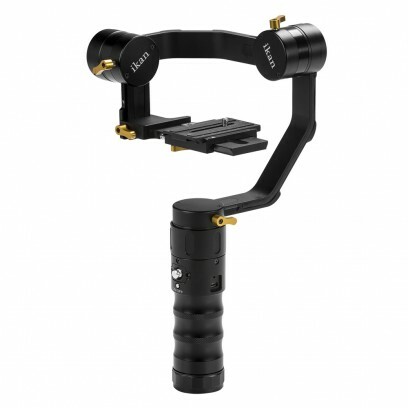 Watch Julio Ramon from Ikan Corp balance the new Beholder EC1 3-axis handheld gimbal stabilizer for DSLR and Mirrorless cameras.